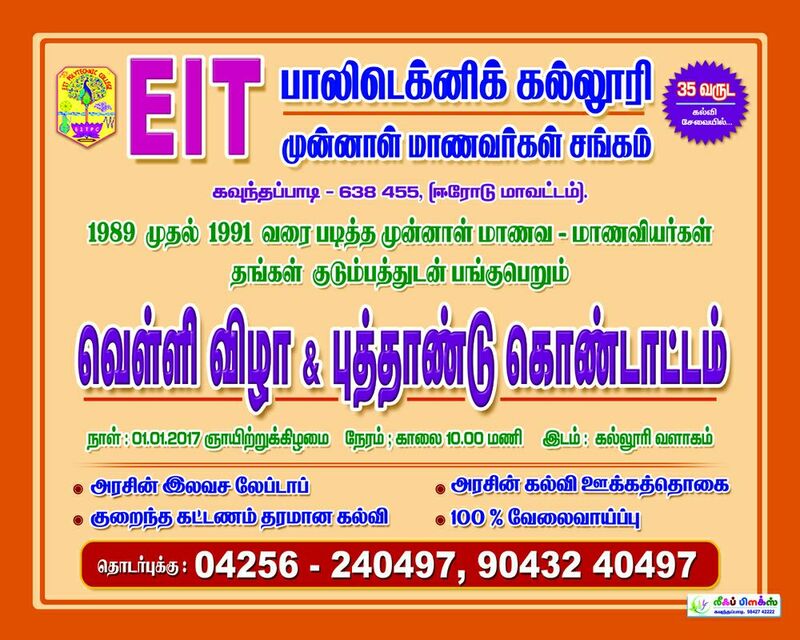 This centre was established in 2005 at EITPC under the Sponsorship of the AICTE , New Delhi.This Scheme was launched with a view to encourage students in our college to consider self employment as a career option, provide training in Entrepreneurship through modular courses and increase the relevance of Management particularly in the non-corporate and under managed sectors. To introduce the concept of entrepreneurship among the students. To conduct Entrepreneurship Awareness/ Development Programmes on full time/part-time basis for final year students, alumni, educated unemployed and working professionals. To conduct special courses for fresh diploma students from various disciplines for establishing an enterprise & its management. To support skill development activities particularly catering to specific areas of requirement in that region. To provide a platform to take-up 'Entrepreneurship' as an alternative career. To identify and provide solution for the problems of small business management & entrepreneurs. To support continuing education needs of personnel in areas of technology and management. Mobile phone repair, Computer Operator Training, Maintenance and servicing of household appliances, CNC Machine Operator, Tailoring and Garment Making etc. Motivation, Personality development, creativity, etc.